Opposite of the previous post, here's a clean and simple card. Here's flipped take on an old Let's Scrap card sketch. 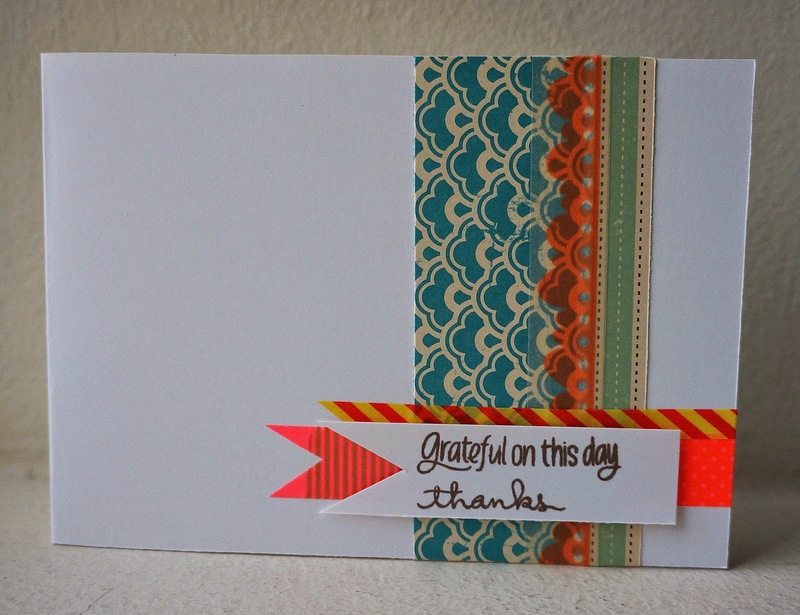 I had made this card for the card drive to thank volunteers at a non-profit organization. Quick assemble of some leftover stash and mass stamping of the sentiment to use for the card. Come play along and have fun at Let's Scrap!